Want to Help Wagging Dog Rescue? Get Involved Now! There are nearly a thousand ways to help us and our rescue effort, and each Wagging Dog truly does take a village. From shelter start to forever finish, everyone’s contributions are what gets that furry face into his future home. See how you can help with the miracle of rescuing a dog! WDR is a foster based dog rescue. All of our orphans are in the skilled private homes of approved foster caregivers, waiting to meet YOU. By adopting one of our Wagging Dogs, you are creating an opportunity for both your pup in his forever home and another shelter pup in our foster home. For our currently available dogs, please visit our Adoption page. Have you ever thought about fostering a dog in need? Maybe you’re just not ready for adoption but would still love to have a canine companion in your life. 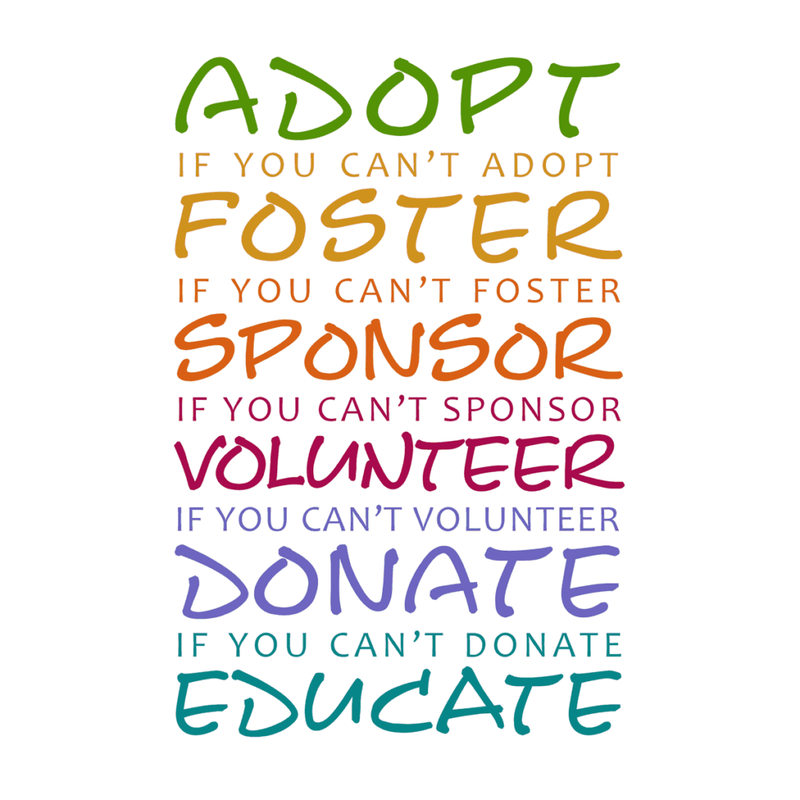 Perhaps you’re not sure what fostering is really about … Read about our Foster Program and the valuable and amazing personal experience of saving a furry life. You’ll also find some words from our Foster Parents about this special volunteer service. Not able to have a dog at the moment but still wanna be involved in the rescue effort? PAWESOME! There are many ways you can help the Wagging Dogs find great homes, in person or even from the couch! Check out our Volunteer Opportunities to see if you might be a fit for the WDR team!! There are those special moments when a pup connects with you in ways you just can’t explain. We get it. If one of our special Wagging Dogs has captured your heart, a tax deductible contribution can be made specifically for his or her care. One of our Sponsors even sent her Sponsor Dog a puppy care package full of thoughtful treats and toys. Simply note which Wagging Dog you are helping when sending your gift, and if you want to send something especially crafted by You for Your Dog, please email donations@waggingdog.org. We are able to provide exceptional care for our orphaned pups with generous donations from our supporters round the world. As an all-volunteer nonprofit, we are able to put every last penny we have towards our Wagging Dogs. Some of our furry friends incur high vet bills on their road back to good health and happiness. Check out various ways you can donate to the herd, with several at no additional costs to you! Win win!! Looking for more information on breed advocacy? How about spay neuter services? Need some vet recommendations? A good book on dogs to teach you more about our amazing friends? Check out some of our Resources and send us an email if you have any others to share with fellow dog lovers!